Anything worth doing is worth practicing! I just need to vent! I am not going to leave him! You told me not to marry him! Why are you mad that now I want a divorce? We have just grown apart. I think we will both be happier away from each other. If you have ever heard any of these lines you know that there is a line you can never cross with your adult children: berating their spouses. Will your adult children marry partners that are less than perfect? No doubt about it. Will your adult kids become angry, frustrated, even down-right-mad at their life partner? Probably. Will you be tempted to get angry, frustrated, even down-right mad at your adult child’s life partner. Undeniably. Remember: you are ALWAYS the parent! You are ALWAYS the adult. You ALWAYS live by your VALUES and not your emotions. What if their relationship continues to spiral downward? What if they end up in separation or divorce. Even then I work hard at not trashing my former son or daughter-in-law. One of my kids has been through some pretty rough times with an ex. He can vent to me but I try to keep all my comments inside my head. He married her once upon a time. He had feelings for her. For me to say horrible comments against her is to degrade his judgement. As I often told my teenaged daughters: you can never be held accountable for what you never said. Am I wrong about this? Are there situations where we should speak badly against our kid’s spouse? Please leave me a comment. I am all ears and open to learn. As a new mom-in-love this is excellent advice. I have already applied it with my adult child. I so appreciate those farther down the road sending wisdom.back to those starting our journey. So helpful. 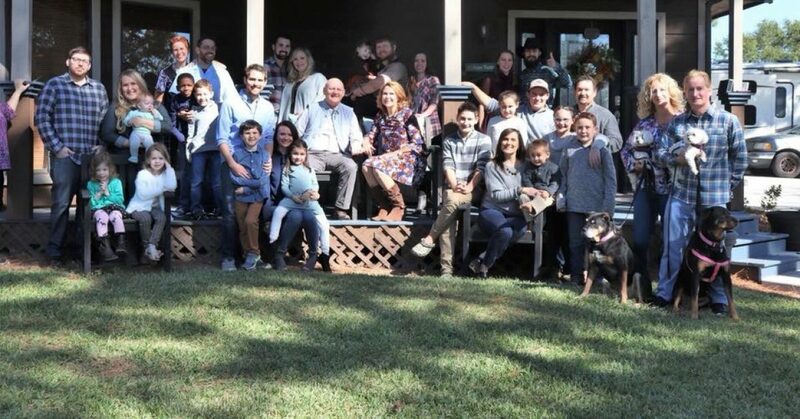 With eight adult children, their spouses, and almost 16 grandchildren (he is in the oven just a few more weeks!) you would think PRACTICING PARENTING would come easy. SURE! as easy as leading a small company or large army! Practice Parenting Blog at WordPress.com.